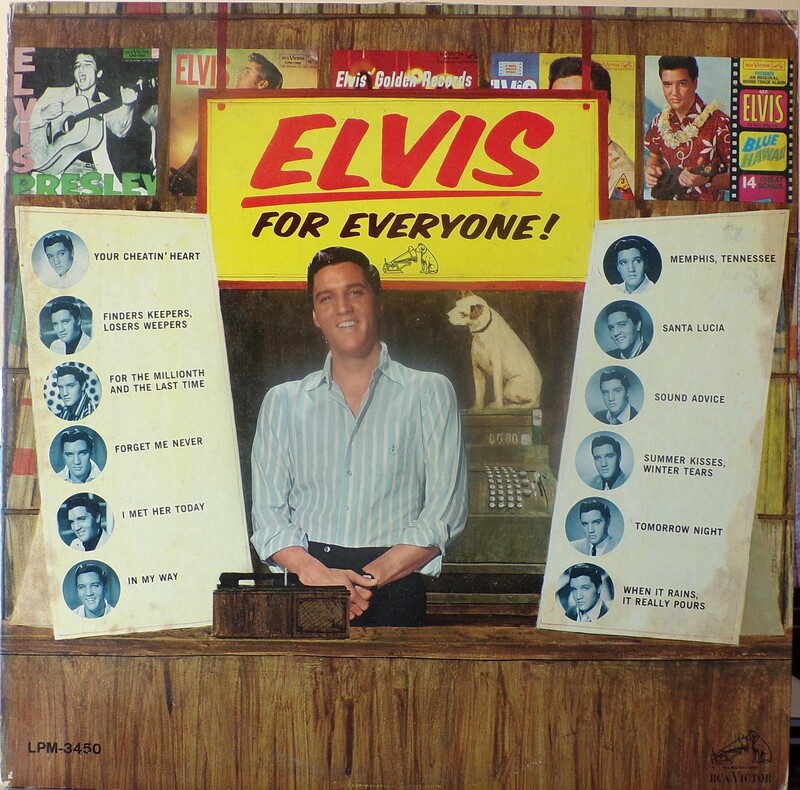 Front Cover : Photo of Elvis in centre with 6 circled photos either side with the song titles. 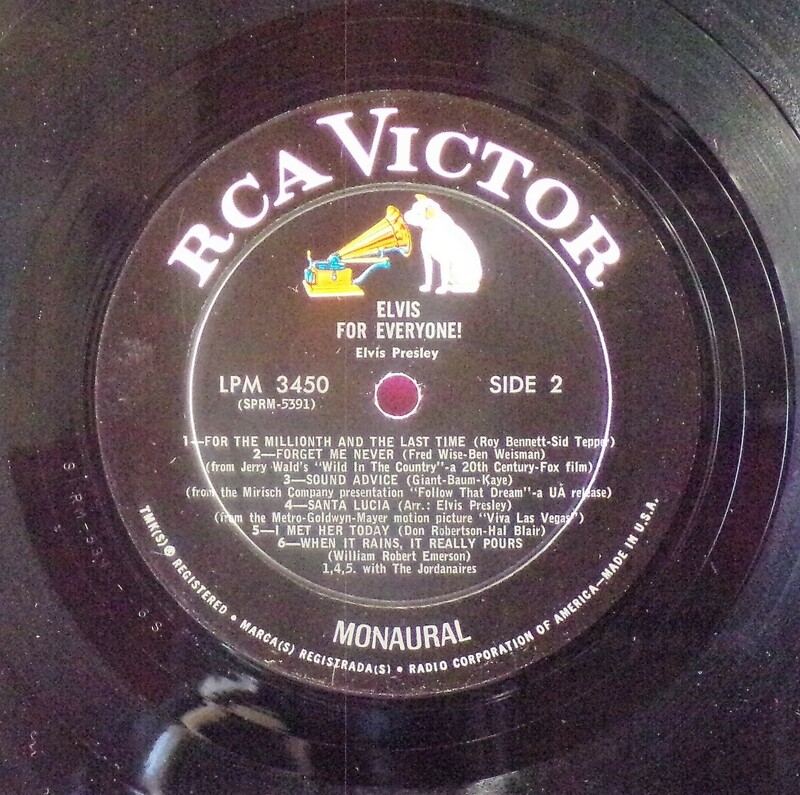 LP title top centre . Catalogue number bottom left. 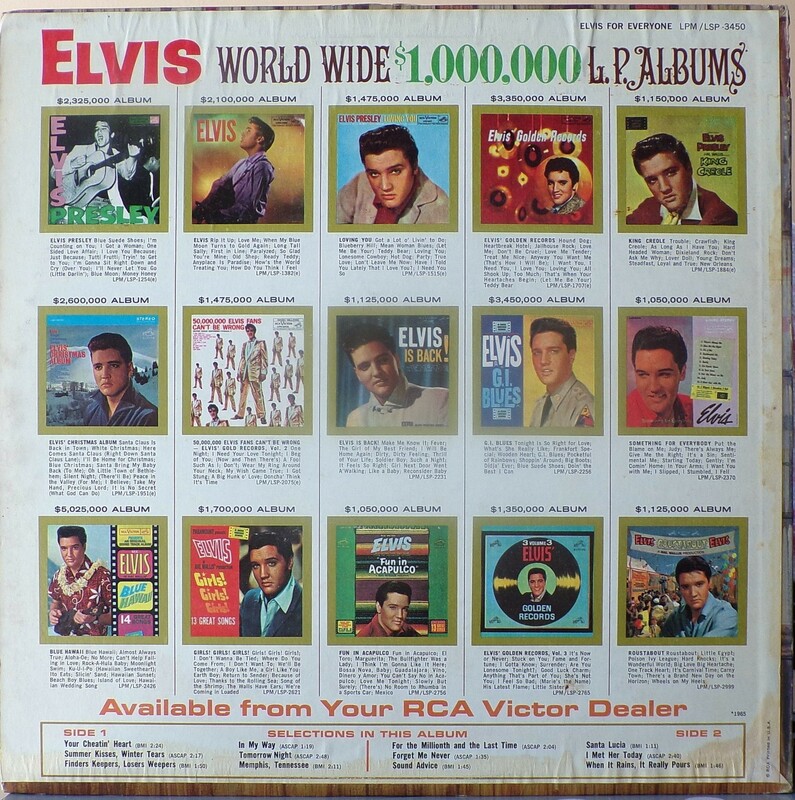 ​​Rear Cover : Advertising 15 Elvis LP's with gold surround. Catalogue number top right LPM / LSP 3450. 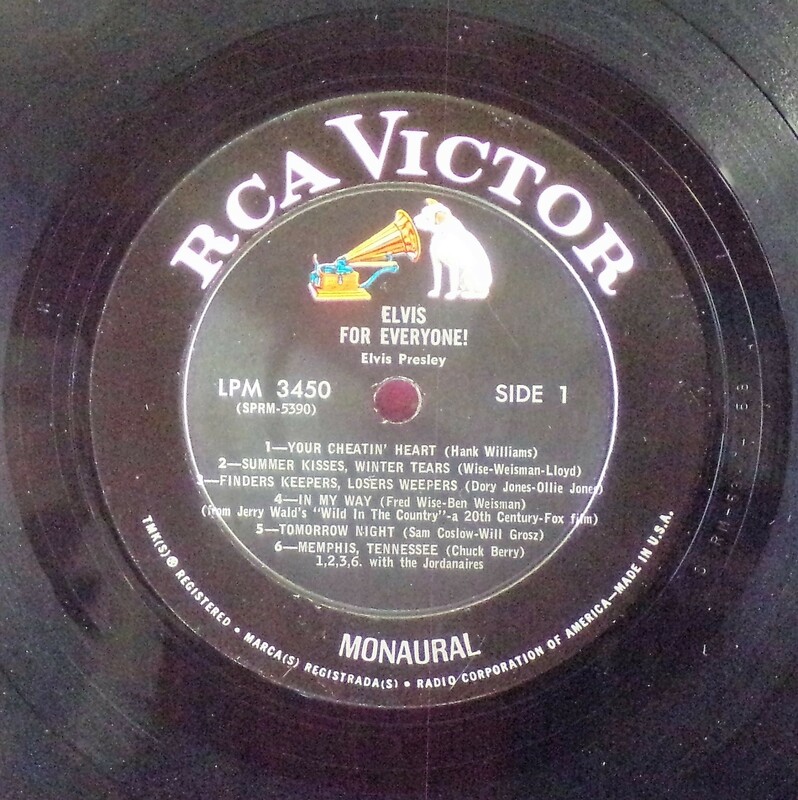 Printed in U.S.A. bottom right.